Ed Sheeran released Divide, on March 3, consisting of 16 songs including two tracks, “Shape of You” and “Castle on the Hill,” which were released right before the album debuted that were huge hits. Divide brings the perfect combination of slow, powerful, and upbeat songs together in one collection. Sheeran has a song for just about anything. “Shape of You” brings out the life at the club. “Dive” and “Happier” slow things down and lets Sheeran’s voice take the lyrics to a whole new level. Heck, there’s even Irish folk and rap in the album. “Dive” exemplifies the blues with a staccato playing of an electric guitar that establishes the rhythm. With just a few instruments Sheeran is able to dominate the song with his voice, especially at the chorus: “So don’t call me baby, unless you mean it. Don’t tell me you need me, if you don’t believe it. So let me know the truth, before I dive right into you.” Sheeran talks about his hesitation for a lover. He is speaking from his heart about his pain. He emphasizes how he is vulnerable when it comes to his feelings for a significant other. All of this is bundled with a compelling guitar solo after the second chorus. Another song that is soaring up charts across the world is “Galway Girl.” The upbeat instruments and face-paced singing creates a rousing feeling. Sheeran talks about an encounter between him and an Irish women from Galway, Ireland. They were drinking and playing darts at the bar. “And then she kissed me like there was nobody else in the room,” Sheeran said. This implies that the “Galway Girl” he is talking about is leading him through the night and giving him a great time. In the chorus, Sheeran mentions that “she played the fiddle in an Irish band.” This is interesting, because there is a fiddle playing as part of the song. “Galway Girl” is a track that is sure to bring jam. Break-up songs are the saddest from an album, especially when coming from an artist like Sheeran, but they are also the most powerful. “Happier” is about Sheeran breaking up with his lover, and how his ex-lover already looks happier “in another’s arm” a month after their breakup. 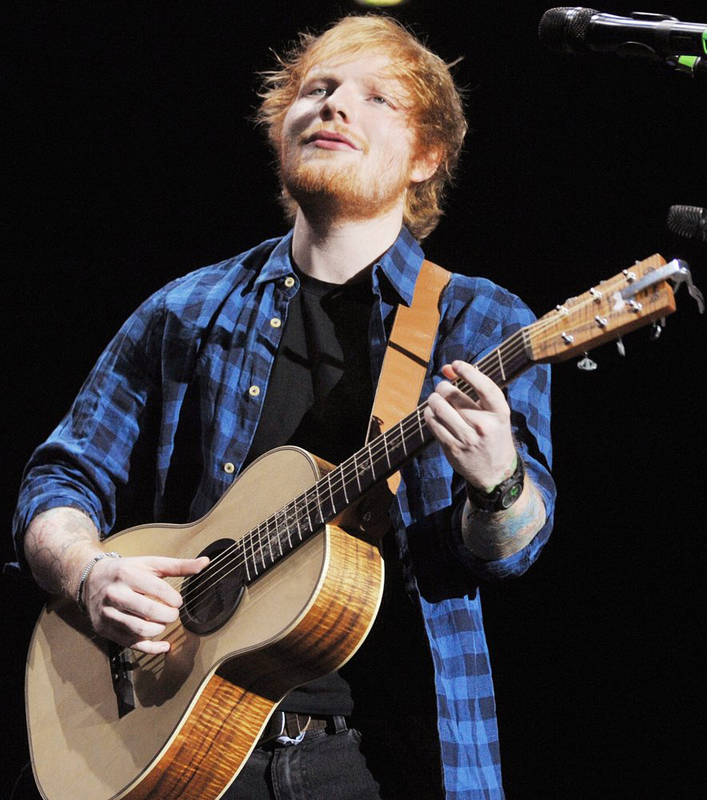 As Sheeran sings softly, a slow-paced acoustic guitar chord picking is the only instrument heard in the beginning verse. The piano joins in the pre-chorus, leading into Sheeran’s hesitation about his feelings. He is alternating between letting go and knowing that he was happier with his ex-lover. The chorus where Sheeran says, “‘Cause baby you look happier, you do. My friends told me one day I’ll feel it too. And until then I’ll smile to hide the truth, but I know I was happier with you,” reveals his sorrow. He connects the song with the listener in a way that they both feel the dismal. Sheeran gave his fans something to connect to, a song for every occasion, and a tear for every heartbreak. Sheeran will be coming to Houston on Saturday, August 19, 2017, at the Toyota Center.